Have you been searching for a company that is able to carry out heating repairs in Denholm? With 15 years of experience in the industry, you can trust Border Heat to provide you with a first class service at all times. We are also Gas Safe, no 503718 and OFTEC registered for your peace of mind. We can work with oil, gas and LPG boilers and are Aga, Rayburn, ESSE and Stanley specialists. Give us a call today for more information. We provide an honest, professional, reliable and friendly service at all times, offering excellent value for money. We are a well established reputable company and are focused on carrying out our work to a high standard at all times. We are sure that you won't be disappointed with our services, so get in contact with Border Heat when you need a company that is able to carry out heating installation in Hawick. Get in touch with us on the number at the side of the page for Boiler Heating Repairs in Jedburgh. Alternatively, you can also get in contact with us by sending an email to info@borderheat.co.uk or enquiries@borderheat.co.uk. You can even fill in the contact form with your details and query. 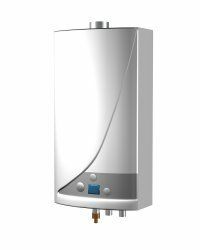 Don't forget to come to Border Heat for boiler repairs in Denholm.